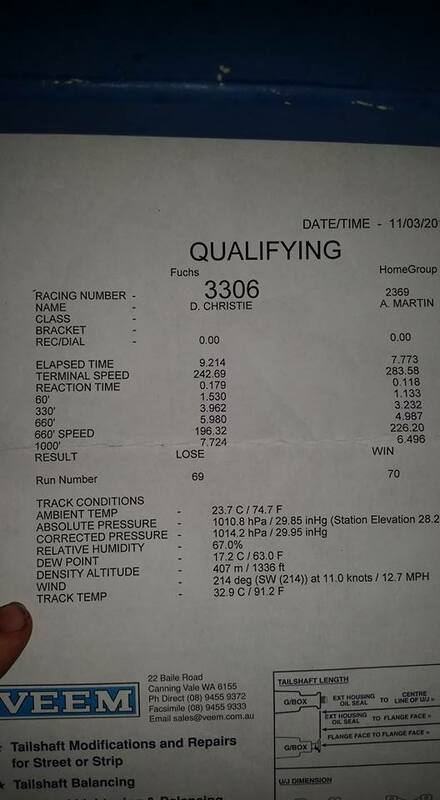 With the fitment of a new 10.5″ Circle’D Converter replacing the old 9.5″ Dominator to my VX Commodore drag car, I ran a new PB in both time and MPH over the 1/4 with no changes to the tune. Unfortunately it was my 1 and only run as the drivers side stub axle broke coming out of the burnout box, putting a premature halt to the nights session. Not too shabby considering that both my VX and my dads VT (which does 9.3’s) are still running stock stubs and axles. So a new one will go and I’ll start to put some more boost in.